A few weeks ago, we had lunch and played some pool with my brother Jae. 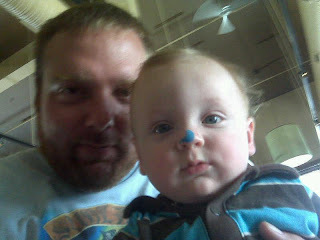 Poor BB fell for the 'scented pool chalk' trick. your brother looks like a serial killer! He looks sooo mean! Thankfully he looks more vicious than his bite!